Cambridge United vs Stevenage predictions as they meet League Two on Saturday. Will the hosts be able to bounce back from their disappointing heavy defeat on New Years Day? Read on for our preview of the match and all our free betting tips below. The turn of the new year brings with it an excellent opportunity for those sides who have a poor first half to the season to re-evaluate their goals and approach the remainder of the campaign with renewed vigour. 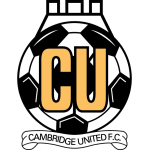 This weekend sees a side who will surely be hoping 2019 can do exactly that as Cambridge United look to bounce back from a heavy defeat last time out when they welcome a Stevenage side who are still hoping they can make a run at the end of season play-offs. Although Cambridge United will have been hoping for a positive start to the new year when they welcomed title hopefuls MK Dons on New Years Day, they now have to rebuild their confidence after they were demolished in a 6-0 rampage. It tops what has been a difficult festive period for the hosts and they have managed a poultry four points from their last nine matches. If they are to turn their form around then their home form will be key as they have seen 65% of their points arrive when playing on home soil. Making the trip to the Abbey Stadium is another side who will be looking for a strong start to the new year and following their 1-0 victory over Newport County on New Years Day, they are off to the perfect start. The visitors will have aspirations of challenging for the play-offs but they will be disappointed with their form over the festive period and will be keen to bridge the gap which has now appeared. 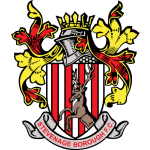 With the form of the hosts going into this match and the fact that their visitors got a morale boosting win last time out, we can see Stevenage coming out on top in this one. However, it is true that both of these sides are better when on home soil so the need for caution looks to be quite high. With this in mind, we think that backing a Stevenage win with the safety net of the ‘Draw – No Bet’ clause looks to represent the best option of a decent return. Cambridge have conceded at least one goal in 77% of their home matches. Cambridge have scored 32% of their goals after the 75th minute. Stevenage have scored 32% of their goals after the 75th minute. Just 39% of Stevenage’s points have come away from home.